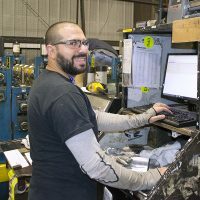 Operations - Central States Mfg, Inc.
Our production employees perform a wide range of job duties including: receiving metal coils, running rollforming equipment, bending trim, handcrafting special trims, picking/packing accessories and loading trucks. They are key to ensuring our products are created to spec and are being put on the right trucks for shipment. Sometimes it’s hot and you’ll most likely get dirty, but you will receive competitive pay, excellent benefits and respect for your family time. Our products protect families and communities and we need qualified individuals that can work hard to make sure the products are world-class. Nothing we do is complex, but we work hard to support our team and invest in our retirement. Join our operations team today and become a valuable part of the team. From days, to evenings, to nights, or weekends, we offer many shifts to accommodate the busy lives of our employees. Regardless of your family-life we have a shift that works for you. 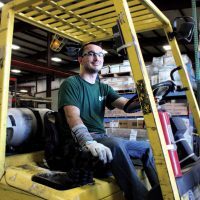 Although our shift offering varies by plant, browse our jobs to apply for one that fits your schedule. We value hard work and hitting our goals. We have a generous bonus program to make sure everyone on the team works together to accomplish common goals. So pick up a position, put on your gloves, work hard, and get paid for it. Watch the video to see what its like working in one of our manufacturing facilities. 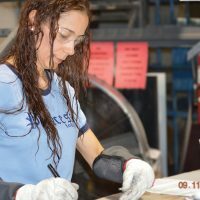 Put on your gloves and join our team!